Admittedly, I have a love/hate relationship with floral swings. They’re beautiful of course, and I love the juxtaposition of playfulness to a black-tie affair. They are so fun when done well, but when not fully thought through, I tend to get small heart tremors and the logistically-minded planner inside panics. Below are a few of my tips for adding this fun, instagrammable moment to your wedding, and keeping everyone safe at the same time! 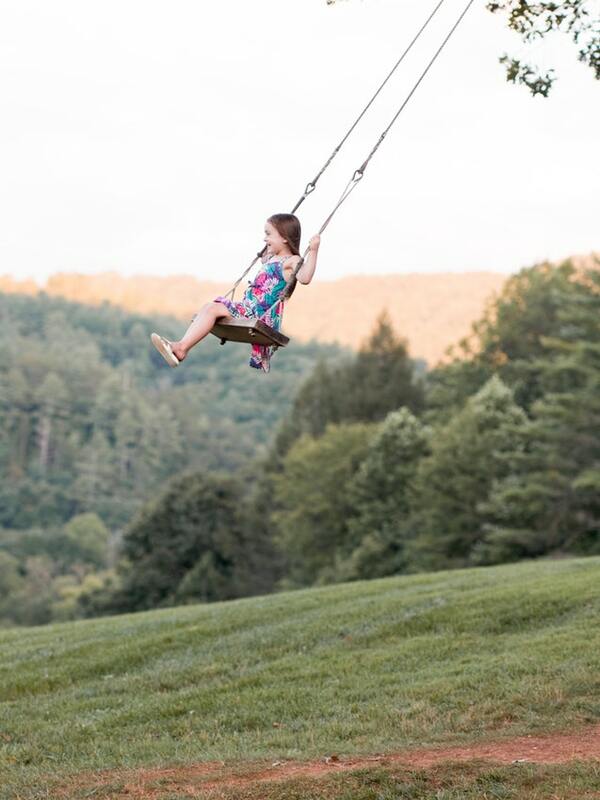 If creating your own DIY swing, be sure to attach it to something sturdy. I’ve found that a pre-existing tree or structure with roots into the ground is best. 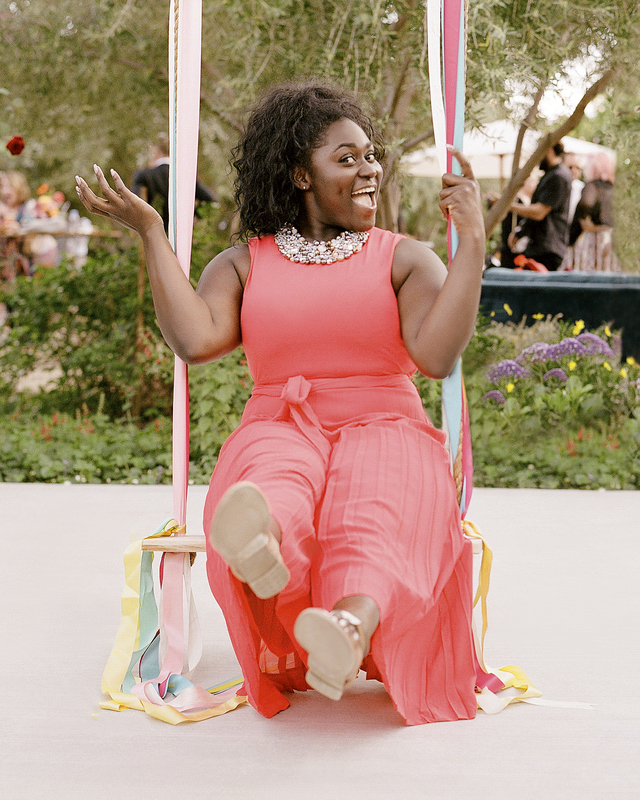 At Lauren and Samira’s wedding, there was a pre-existing metal frame in the rose garden that we were able to attach our own swing to! If bringing in a structure for your swing, be sure to bolt it to the ground. Even though it’s intended to be a photo moment – there will always be the one guest who swings a little too far and the structure can tip. 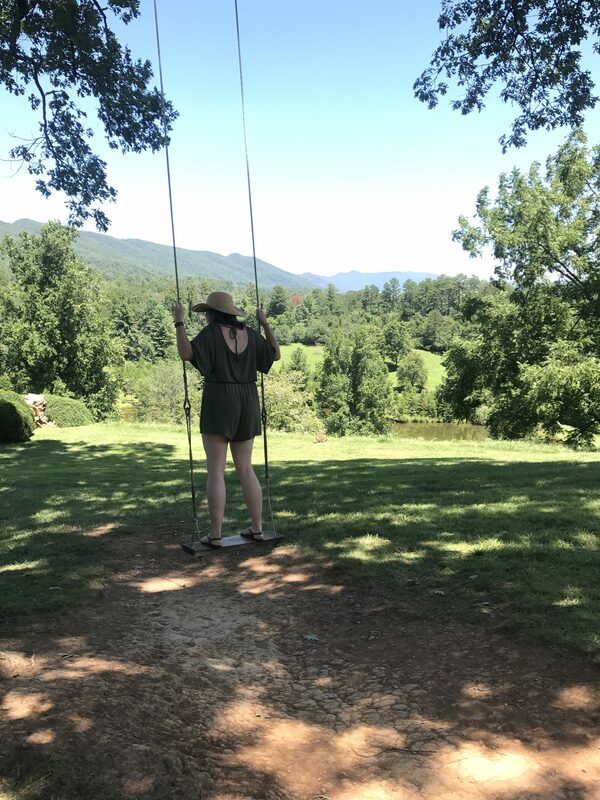 We loved this gorgeous swing with a view at Melody and Charlie’s wedding that was installed to an existing tree at Blackberry Farm. No additional décor required and it still proved to be the perfect cocktail hour accent! 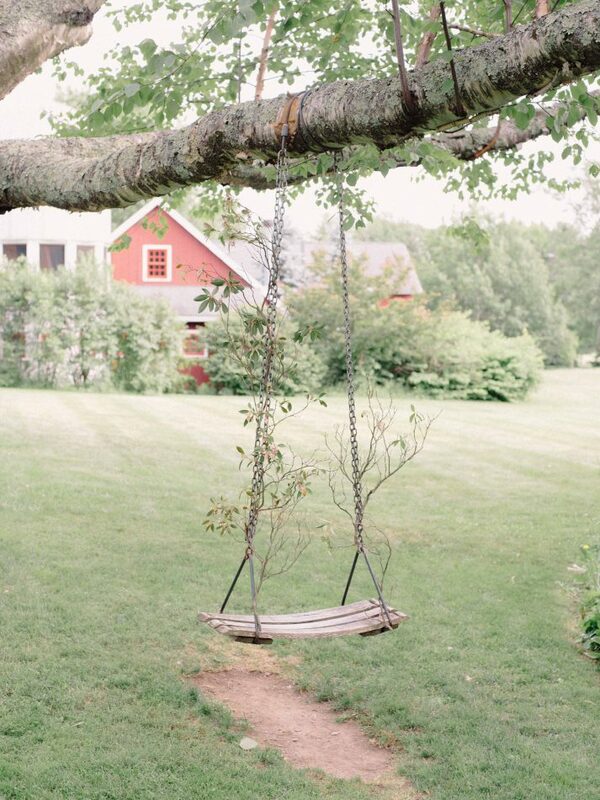 If your venue already has a swing in place, even better! I suggest having your florist bring along some extra vines and blooms to climb up the ropes. If it’s a shorter structure or tree, try hanging some flowers down from above to give an enchanted forest vibe. At Sarah and Matthew’s wedding, we were so lucky to be able to decorate up the already existing swing with some extra vines and blooms from our lovely florist. And of course, we have to test the swings ourselves – just to make sure they’re safe!